The CS @ ILLINOIS Distinguished Achievement Award honors computer science graduates who have made professional and technical contributions that bring distinction to themselves, the department, and the University. The award is presented at the CS @ Illinois Awards Banquet each fall. Nominations for the Distinguished Achievement Award are solicited annually from alumni, faculty, and advisory board members. 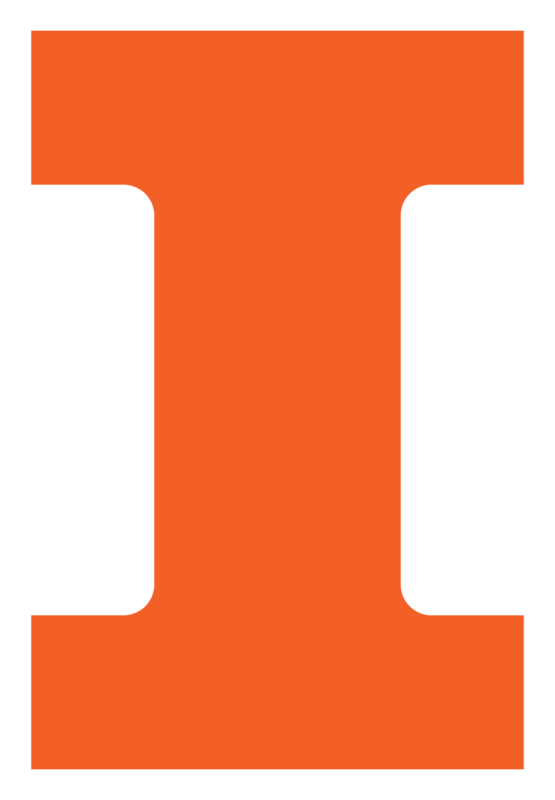 Nominate an alumnus today at my.cs.illinois.edu/submit. Isaac Hall is the founder of and Technical Fellow at Recurly, a company powering subscription billing for thousands of software, media, mobile, consumer goods, productivity, and publishing businesses. Isaac experienced the complexities of recurring billing models firsthand at several other companies and saw an opportunity to innovate billing systems with a modern, developer-friendly approach. Isaac has taken Recurly from the earliest proof-of-concept stage to what now is mission-critical infrastructure for thousands of companies around the world. Recurly processes billions of dollars in payments every year . Recurly has recently integrated with cloud-based accounting platform Xero to streamline even more financial operations for its customers. As Technical Fellow, Isaac leads R&D projects involving analytics, payments, security, scalability, and machine learning. Recurly was a 2016 finalist for a CODiE Award from the Software & Information Industry Association. Prior to Recurly, Isaac co-founded Syncplicity, one of the early companies to use the cloud to securely synchronize, back up, and share files across multiple devices, and among multiple people and organizations. Syncplicity was acquired by EMC Corporation in 2012. Rajesh Karmani is the founder of Zero Percent, a Chicago-based public benefit corporation with the mission to reduce food waste. Zero Percent provides an online food donation platform that connects great surplus food from restaurants and schools, for example, with non-profit partners serving people in need. Every donation is tracked using an Uber-style app and detailed data is available on a dashboard for analysis. The platform, which Karmani originally developed as an app while completing his PhD, has coordinated more 1.5 million meals from 100+ businesses to 80+ nonprofits in Chicago, Champaign, and Nashville. Sixty-nine percent of the donated food is prepared or perishable. Karmani won a NationSwell Technology Impact Award in 2016 for developing a real-world solution to the hunger and food waste issues. In January 2017, Karmani became the Head of Technology at Farmer's Fridge, a venture-backed startup on a mission to make fresh food available 24/7 through smart digital fridges/vending kiosks. He oversees all technology projects including mobile, fridge and web applications, as well as back-end and data infrastructure. After almost four decades of working on the leading edge of technological transformation in business, Richard Schell’s resume includes many of the landmark names in Silicon Valley – Borland, Intel, Netscape Communications, and Sun Microsystems. As a student at Illinois, Schell worked on the PLATO project. After completing work on his doctoral degree, Schell started as a software engineer at Intel, before moving into management and eventually leading strategic planning for the company’s microcomputer group . At Netscape, he was the company’s first vice president of engineering, responsible for growing the engineering team from 20 to more than 600 people, and he directed the work that led to the first commercially successful Web browser and Web servers. After leaving Netscape, Schell founded internet startup iSharp, before joining NetIQ, a leading provider of management and security software. Since 2006, he has focused on helping develop early-stage startups, providing business and technical expertise at ONSET Ventures. Schell has previously served as a member of the Department of Computer Science’s Alumni Advisory Board. A Professor Emeritus in the Department of Electrical and Computer Engineering at the University of Wisconsin-Madison, James E. Smith is known for his work on computer architecture and high-performance computing, both inside and outside of academia. He joined the faculty at Wisconsin after earning his PhD from Illinois in 1976. Over many years of working at Wisconsin and in the private sector, he developed dynamic history-based branch predictors, instruction issuing methods, and techniques for providing precise interrupts that are still widely used. In 1979, Smith took a two-year leave of absence to work for the Control Data Corporation, participating in the design of the CYBER 180/990. From 1984-89, he was the principal architect and a logic designer for the ACA ZS-1, a scientific computer that used a dynamically scheduled, superscalar processor architecture. Smith also joined Cray Research from 1989 to 1994, heading a team that worked on the development and analysis of supercomputers. This work was focused on advanced vector processor implementations, high bandwidth memory systems, and interconnection networks. Smith retired from Wisconsin in 2007 but went on to conduct further research at Google and Intel. In 1999, he received the ACM/IEEE Eckert-Mauchly Award , recognizing his contributions to computer architecture. Drina C. Yue has worked her way from an engineer and systems analyst with AT&T in Chicago to a career in telecommunications and finance with executive roles in North America and Asia. The inventor of eight telecommunications-related patents, Yue’s work has involved network design, broadband systems and mobile technologies, as well as the money-transfer and payments businesses. At BellSouth’s WorldWide Wireless Division, Yue oversaw the development and management of GSM networks in Denmark, Australia, Germany, and New Zealand. Later, she served as a Director for BellSouth China, developing a 34-site microwave network for the Jilin province. In 2000, Yue joined iSteelAsia as Director and CEO, building the online steel trading portal from the ground up, and then overseeing its rapid growth and IPO in Hong Kong’s Growth Enterprise Market. iSteelAsia’s success was the subject of a Harvard Business School case study as a successful company using new economy tools to benefit traditional industry operations. As vice president of Motorola’s Asia Pacific Home and Networks Mobility business, Yue was recognized with Motorola’s Business Council of the Year Award in 2008 for 5 years of double-digit growth in the company’s Home business. Most recently, Yue was senior vice president of the Asia-Pacific region at the Western Union Company, where she was responsible for the company’s operations in 45 countries, overseeing a major expansion in the number of locations and in business partnerships. She currently advises Fintonia Group about investment opportunities in Asia.